With out Day Trip to Siena and San Gimignano, you will forget the crowded city to enjoy a day trip to the idyllic landscapes of Tuscany. Our private driver will pick you up right in your hotel in Florence to accompany you to Siena and San Gimignano, two real gems of Tuscany. Being a local, our driver is a local and knows anecdotes of these sites. For the first part of the tour, you will also get a private guide to help you discovering Siena. In San Gimignano, you will enjoy a reserved wine tasting. 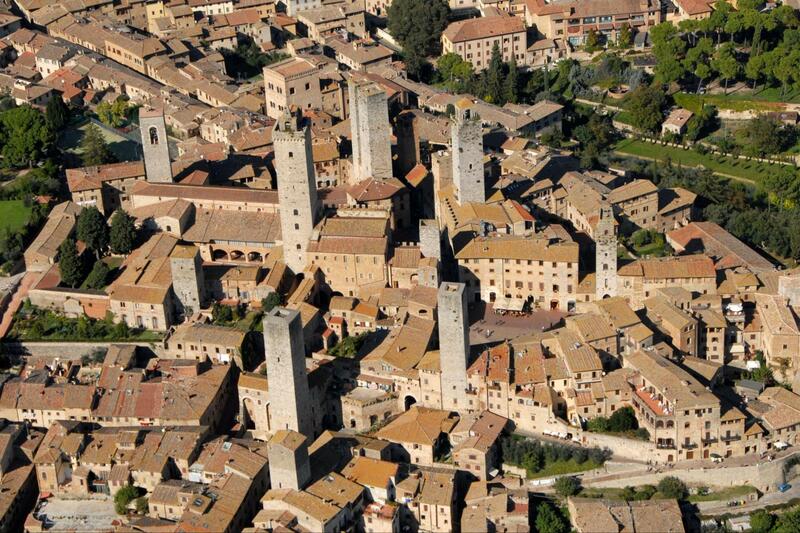 It is going to be amazing; choose our Day Trip to Siena and San Gimignano! 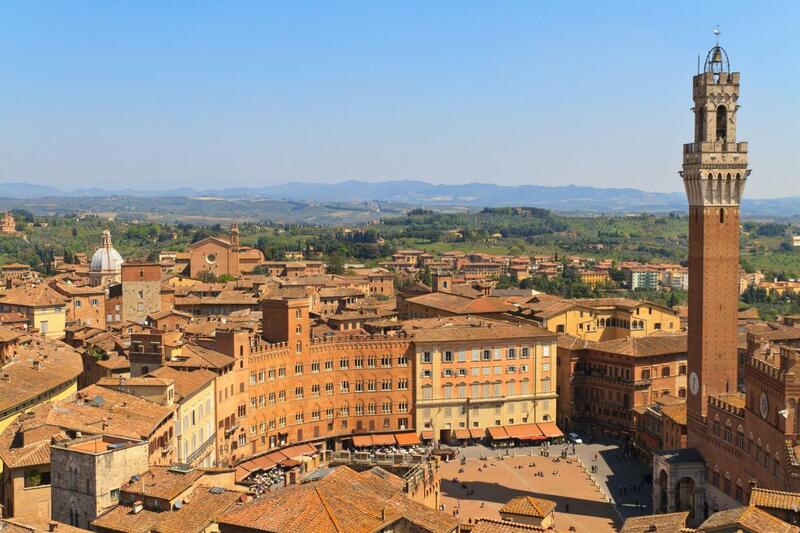 Our Day Trip to Siena and San Gimignano gives you the opportunity to expeience a day in the Tuscany countryside to discover Siena and San Gimignano, two absolute pearls a strone's throw from Florence! The tour includes a private English-speaking driver at your complete disposal for the whole day. You will be picked up right in your hotel to be comfortably escorted around your trip. You will also get a private, licensed guide to lead your tour in Siena. This tour is ansolutely suitable for anyone. So if you have any request, just contact us and we will do our best to fulfill it. 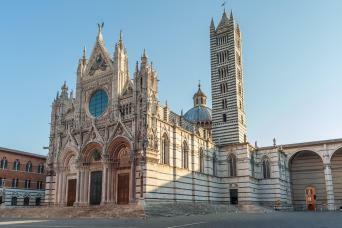 You will start your tour by meeting your private driver and head together to Siena. Here, you will meet your private guide to accompany you for a 3-hours tour of the city. 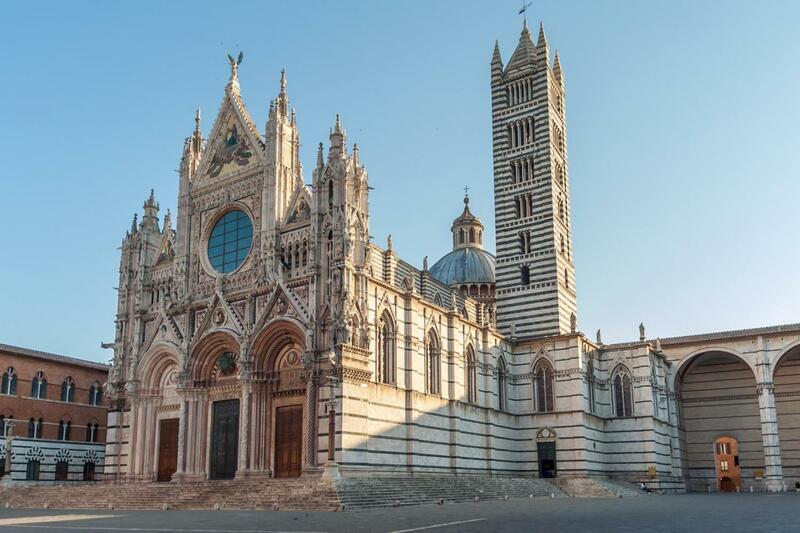 During the tour, you will get the chance to visit the Duomo of Siena. It is is a medieval Roman Catholic Marian church, now dedicated to the Assumption of Mary. Its facades and intereriors, full of geometrical patterns and twisting details, will surely leave you breathless! You will not only learn about art and architecture, of course. Your super-expert guide will teach you all about the local culture. Do not be afraid to ask questions; your guide will be plased to answer! After Siena, your private driver will accompany you to a local winery where you will enjoy a wine tasting with light lunch with local specialties. Food is always one of the best experiences when traveling, especially in Italy... This meal is going to one of the most deliciuos in your life! Your last stop, before going back to Florence, will be San Gimignano, a picturesque village perched on the Tuscan hills and famous for its numerous medieval towers. Here, you will have some freetime to stroll around the city and (why not?) having some fantastic Italian ice-cream! At the end of the tour, your private guide will bring you back to your hotel; all you need to do is relax and nothing else. This is the perfect tour to explore Tuscany off the beaten trucks, to enjoy two beautiful places hidden on the hills... Do not miss it! 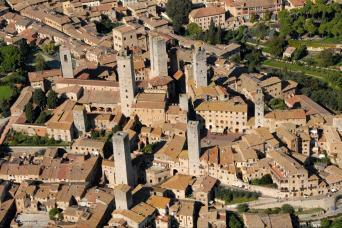 Just contact us and book a Day Trip to Siena and San Gimignano!